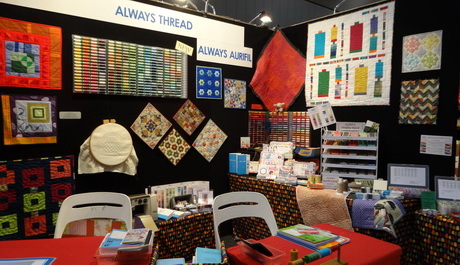 It doesn’t feel like 12 months since the last Australian Quilt Market in Melbourne but here we are once again ready for the two day Fair to exhibit Aurifil to patchwork shops, professional quilters, teachers and textile designers. Yesterday was “set up” day so we started with a blank space. After some heavy lifting to move the display from the van into the exhibition hall we started putting things up on the wall. And then three hours later we were done! The hoopla theme this year meant we were working with smaller pieces and everything went together so much faster on the day. 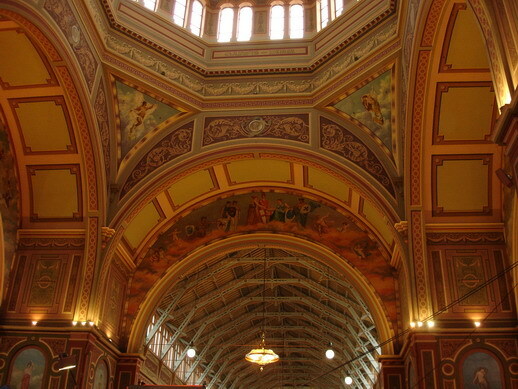 Hope to see lots of retailers today & tomorrow at the Exhibition Centre in Melbourne. If you can’t be there watch our instagram stream in the next two days for close up views of the hoops. The Farmer’s Wife 1930s Sew Along Epidemic! I admit it! 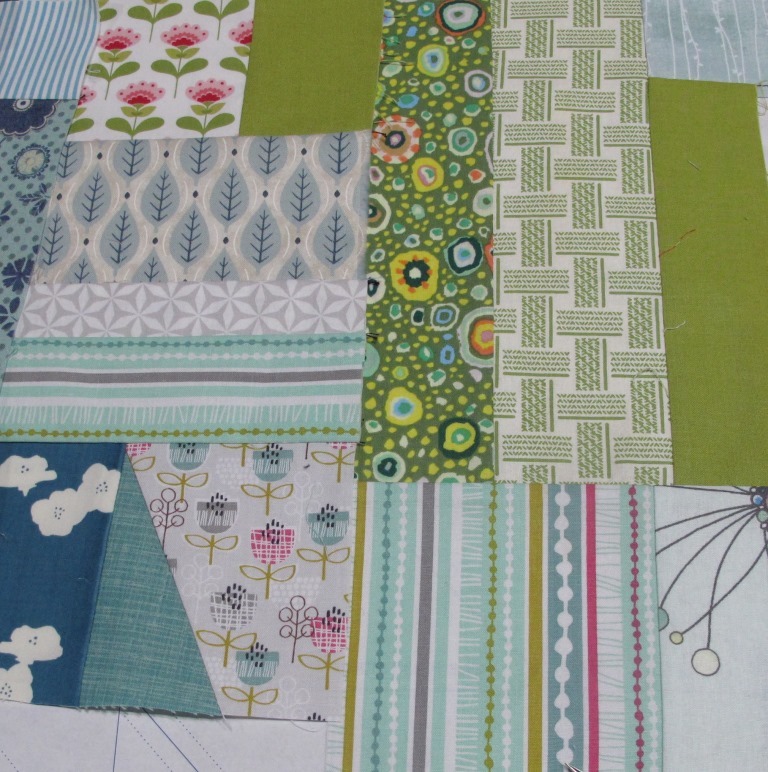 I get very excited about patchwork and quilting. Sometimes I even finish some of the projects I begin with this unbridled enthusiasm. My current passion is THE FARMER’S WIFE 1930’s SEW-ALONG. There is a ‘one stop page’ for all the information curated by GNOME ANGEL. (gnomeangel.com). My book arrived last week and I am busily preparing my patterns and choosing my fabrics for the September 28th start date. I know I have promised some unique results from the 200g of scrap swap…. BUT, this is a SEW-ALONG and I have never done a SEW-ALONG like this before. The group has its own Facebook page and there are already over 2500 members. Can you picture the diversity and cleverness of all these Patchworkers sewing along? It quickens the pulse. My bobbins are full and my needles are new. Come on and join the world wide project that has developed a life of its own! You know you want to…think of it as using up lots of fabric you already have to make room for new fabric that hasn’t even been designed yet…..ooooo aaahhhhh. I learn something new everyday. Sometimes the ‘new’ thing has been around forever…but, it is still new to me. For example, QUILT CLUB AUSTRALIA. This is a closed group (you have to ask to join) on Facebook. This group has over four and a half thousands members. 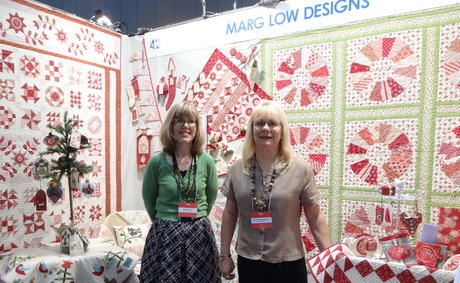 They describe themselves as “a bunch of seasoned and newbie quilters, from all over Australia……”. They do all sorts of exciting things. Several of their activities involve swapping fabrics and/or finished items. 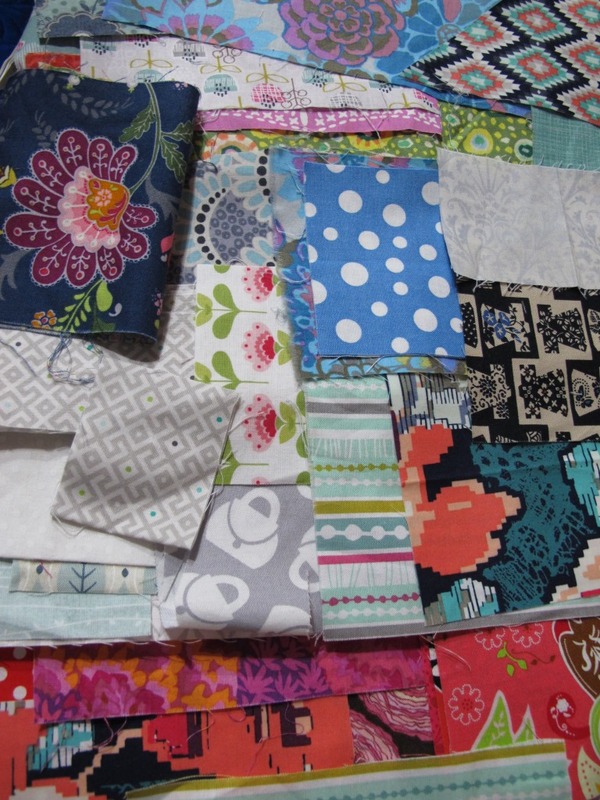 Charm squares can be swapped or a particular designer’s fabric line. 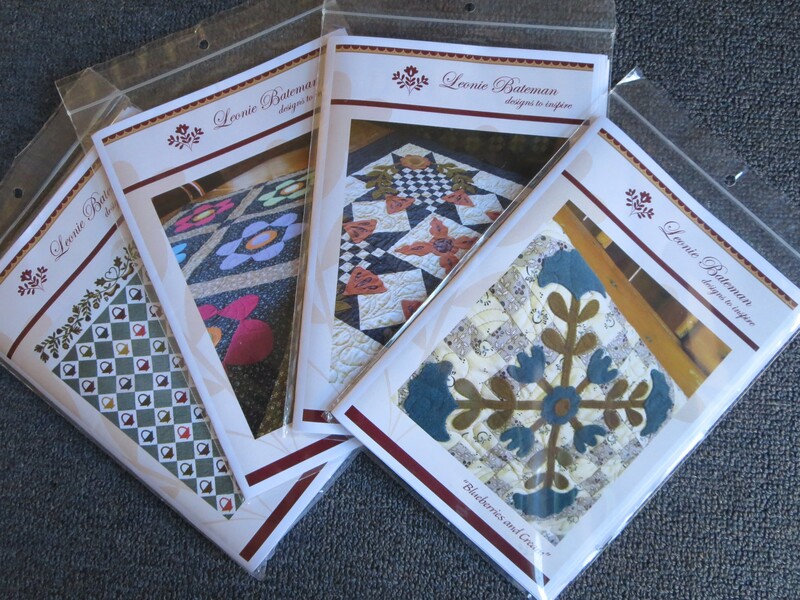 They share tips and links to a variety of quilt related information. They have been around for a while but I HAVE JUST DISCOVERED THEM! 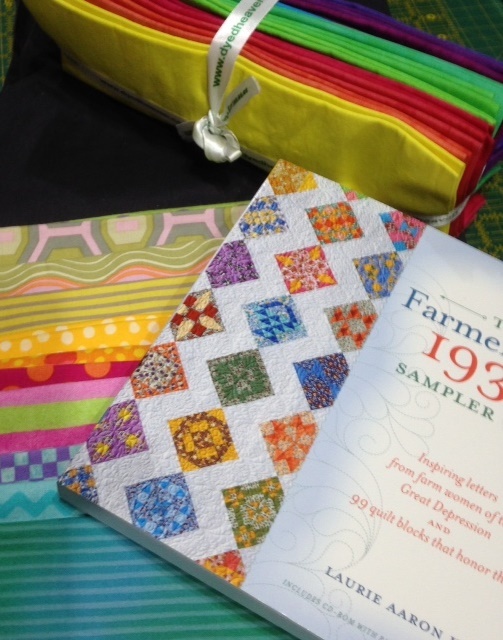 I came upon this group because I have recently been involved in a swap with the Melbourne Modern Quilt Guild. 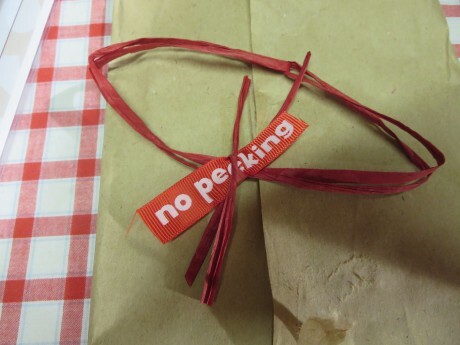 Participants weighed 200grams of their finest scraps; placed them into a small postal bag with a self-addressed small postal bag, and sent them to the nominated distributor. Everyone who participated received a parcel. You would have thought I was waiting for a winning lottery ticket the way I ran to the post-box every day. Note: if my family had seen my excitement over 200g of fabric scrap they would have wondered why I needed a room for the rest of my fabric collection! I will be sharing the project(s) using my 200g of treasure in the near future. 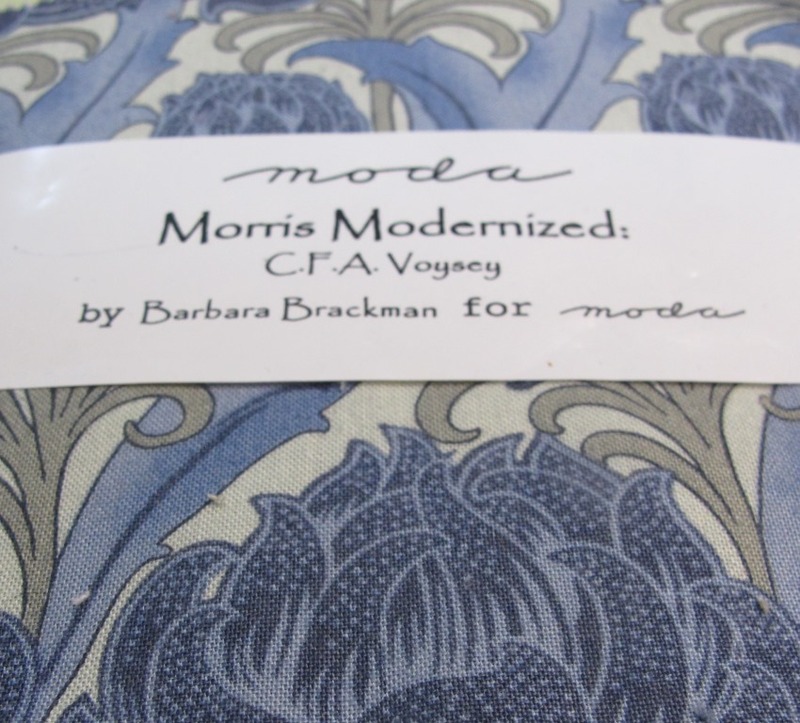 In the meantime, have a look at what is ‘new’ in the quilting world. 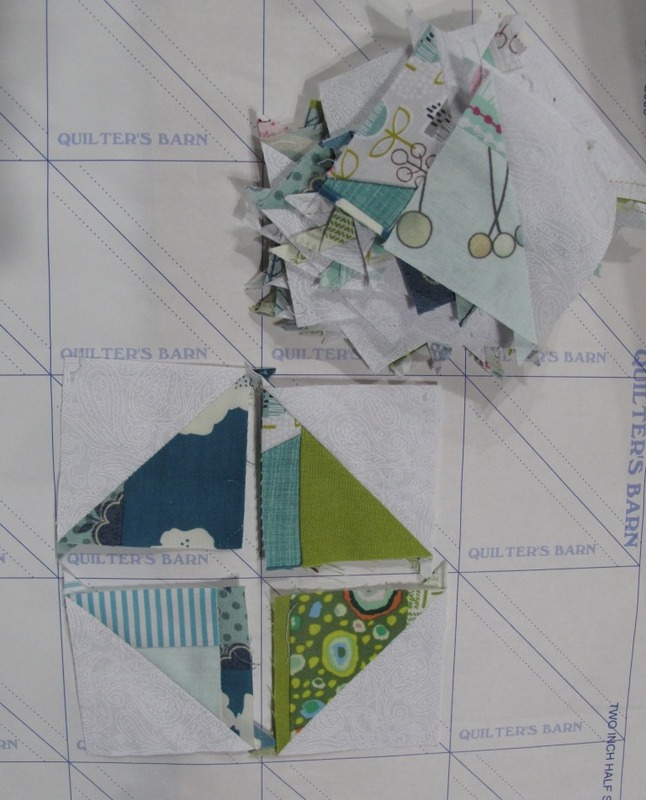 You may find yourself re-energised by QALs (quilt alongs), SALs (sew alongs) or swaps. 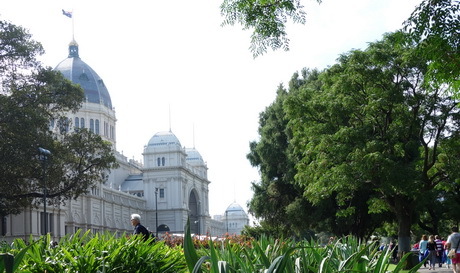 The Australasian Quilters’ Convention is just around the corner (16-19th April) held at Melbourne’s Royal Exhibition Building. 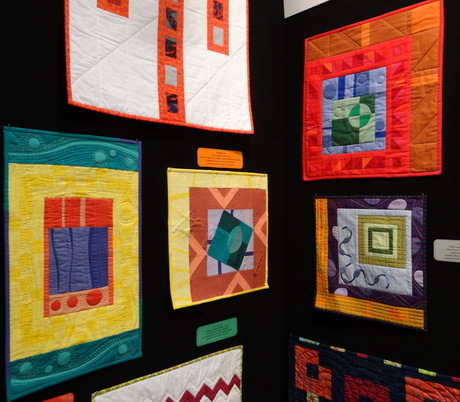 This is always an exciting event for quilters: an opportunity to see the latest in quilting trends, be inspired by the work of others, and shop for all things quilty. Even the venue itself is full of inspiration! 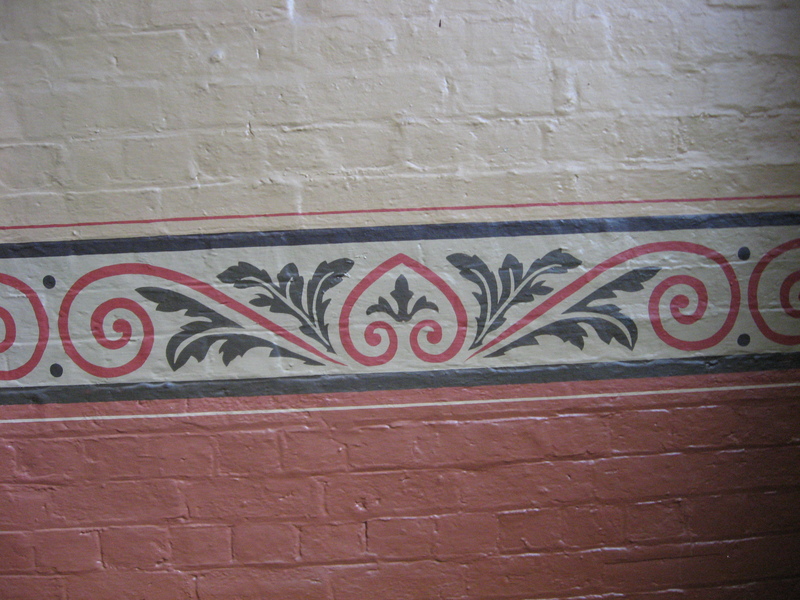 Stencil detail from Royal Exhibition Building….would look good as an applique border! 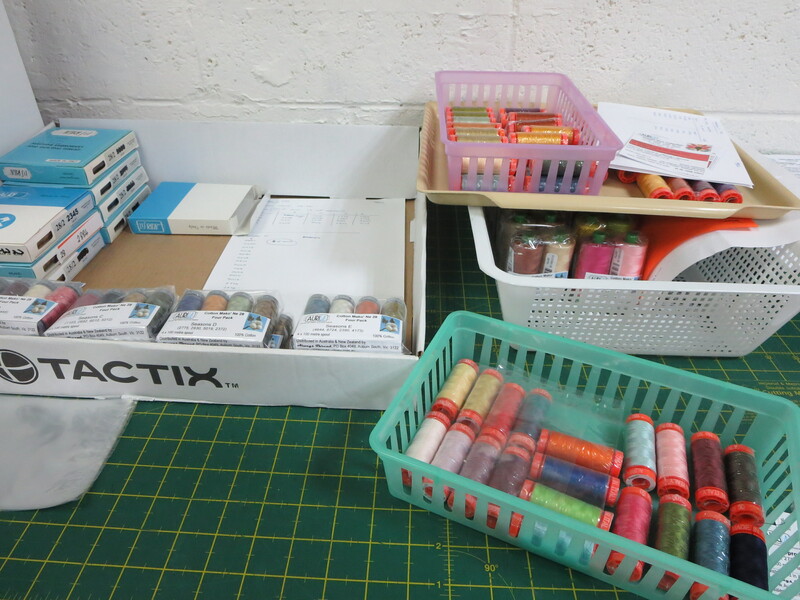 Here at Aurifil we have been very busy packing up stock for the Aurifil retailers to display on their stalls. Packing thread for one of our retailers. 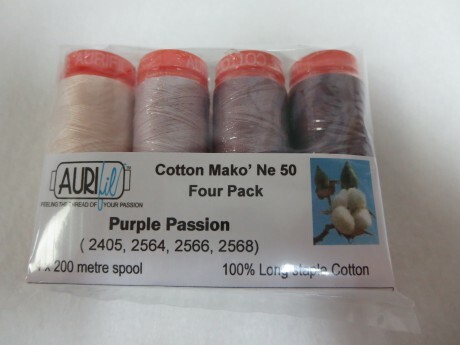 Some of the retailers are taking a range of individual spools in various thread weights, while others are running special projects (such as block of the month) and we have been making up small packs of specially selected threads for these. 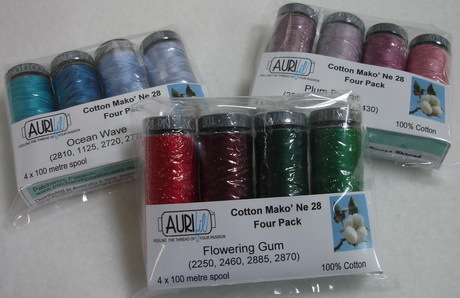 We have also put together some new four packs, including 3 new reproduction basic collections, just perfect to give you a range of “go to” reproduction-coloured threads. One of three new “Reproduction Basics” collections. In addition, some of the talented 2015 AQC tutors including Deidre Bond-Abel, Kathy Doughty, Karen Styles and Lisa Walton use Aurifil thread. 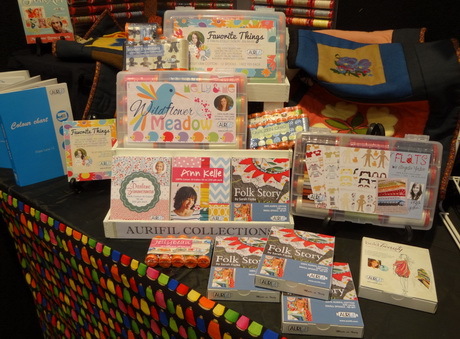 Look out for Aurifil at AQC and be sure to make certain that you have all the Aurifil supplies you need to successfully complete your current and future projects! When we arrived our first task was to find our seats, meet friends old and new, and indulge in the yummy morning tea. 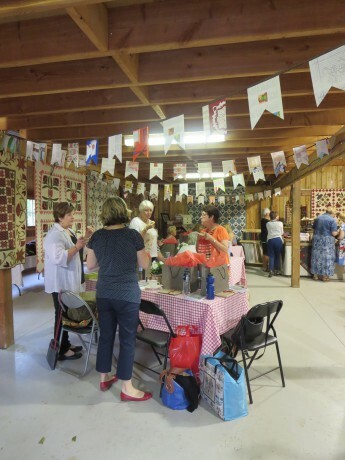 As you can see, the barn was decorated with many of Leonie’s quilts and treasures and she had her pop-up shop there as well, so there was plenty of visual feasting too! Leonie’s specialty is using felted wool applique. 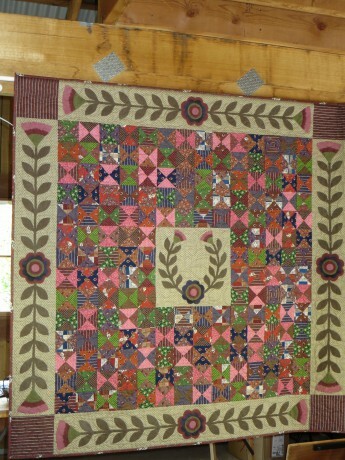 Leonie’s quilt “Betsy”, 54″ square. At each place on the table were our gifts for the day, four new patterns designed by Leonie, and a kit wrapped up and temptingly labelled “no peeking”. The kit we received is called “Cornflower Blue – Doorstop” and includes the pattern and materials required to make this cute little doorstop. 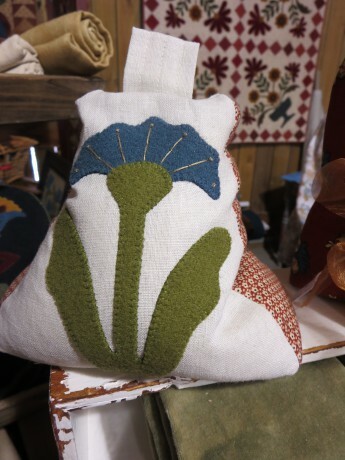 The background fabric is hanky linen, with felted wool applique. 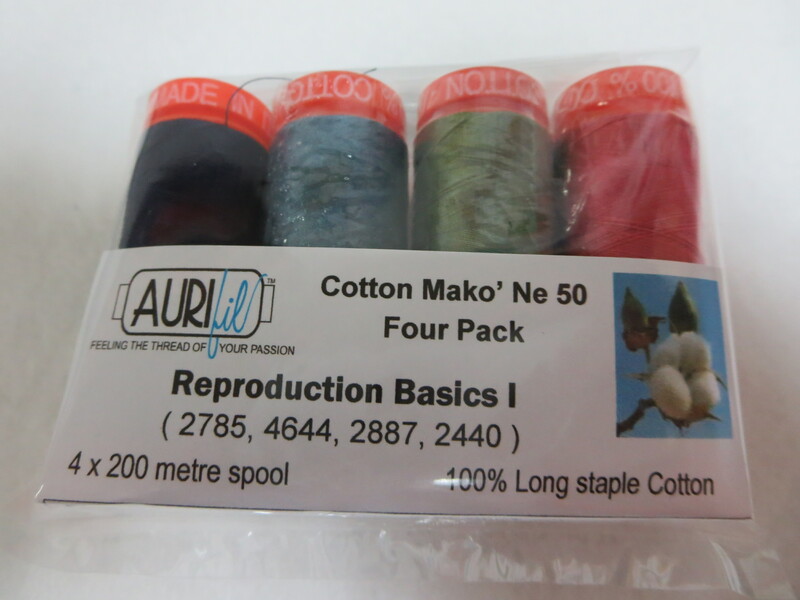 Leonie provided Aurifil Cotton Mako 28 on each table for the blanket stitch. Before very long all participants were busily and happily engaged in the creative process. The felted wool and Aurifil thread are both beautiful to use and the stitching process is very soothing! 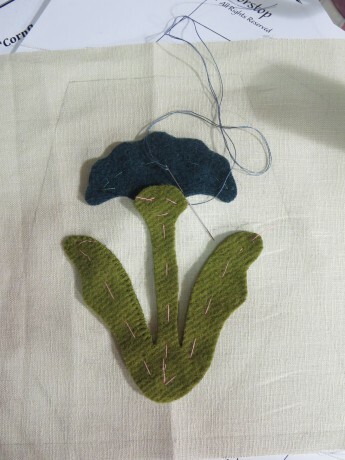 I decided I preferred a thicker thread for the embellishment at the top of the flower. This was easy: I just chose Cotton Mako 12 weight in the same colour. Leonie’s technique involves the use of a water soluable gluestick to hold the components in place and then stapling (yes stapling!!) them until stitching is complete. The felted wool is not marked at all by this. However I am quite happy to use a few tacking stitches and this works well too. (I don’t have a very big stapler). The day went very quickly and by home time I had completed all the blanket stitching. At home it did not take me long to assemble the doorstop. 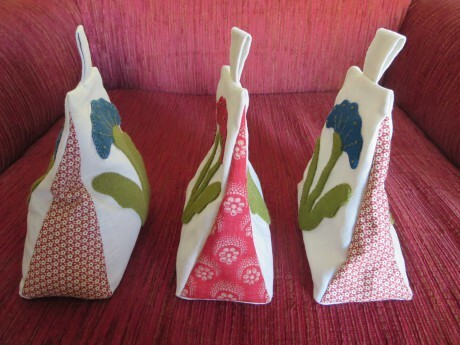 I enjoyed myself so much I immediately set out to make 2 more doorstops as gifts. This time I used wool felt rather than felted wool. It has a firmer feel but works very well too. 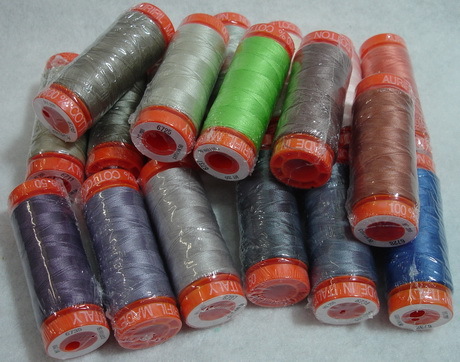 As an alternative thread, you could use Aurifil Lana (wool/acrylic) for the blanket stitching. 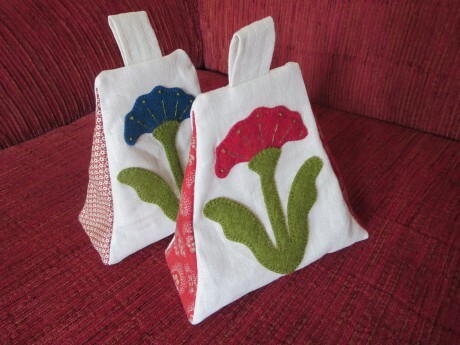 Two more doorstops, as yet unfilled. And now I’m off to pack my bags so that I can catch a plane and deliver these gifts in person! 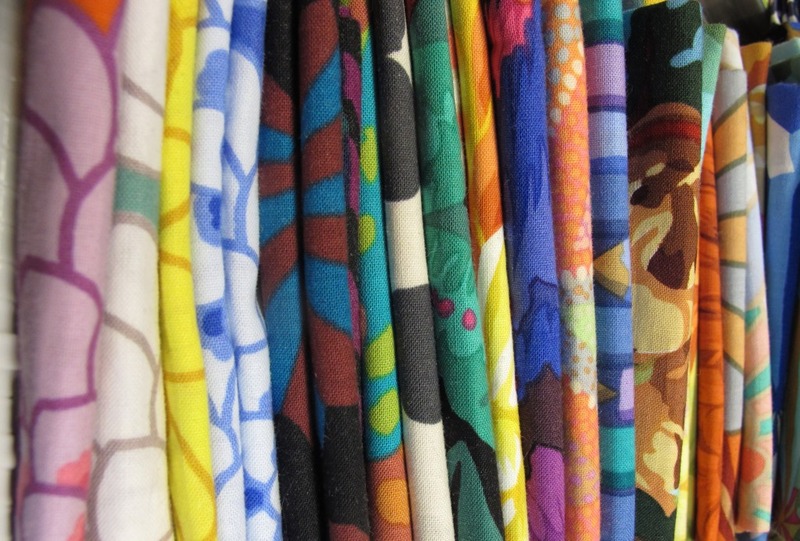 January in Melbourne means “Fabric Frolic” time from 16th to 25th. Seven shops in the eastern suburbs collaborate to organise a splendid week of treats, shopping and competitions for the patchwork enthusiast. 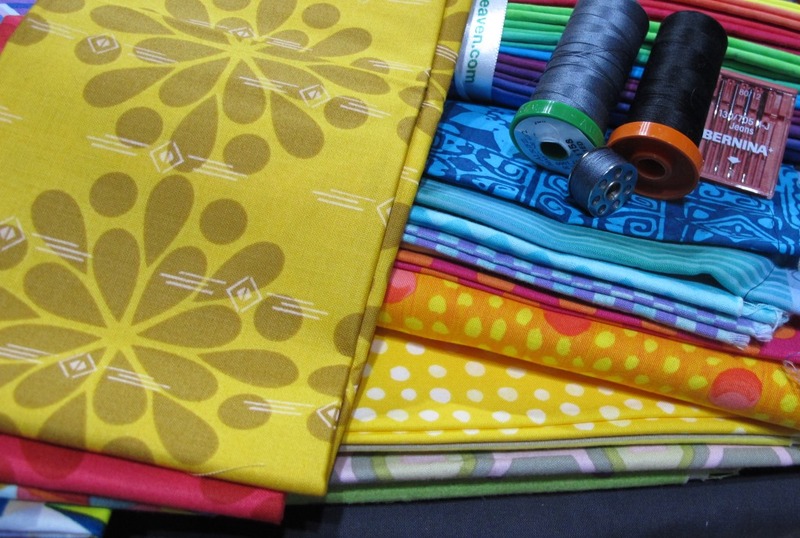 This year I was pleased to see that two of the shops on the shop hop map are Aurifil retailers so be sure to stock up on your thread supplies when visiting Patchwork Passion and Palm Beach Quilting. 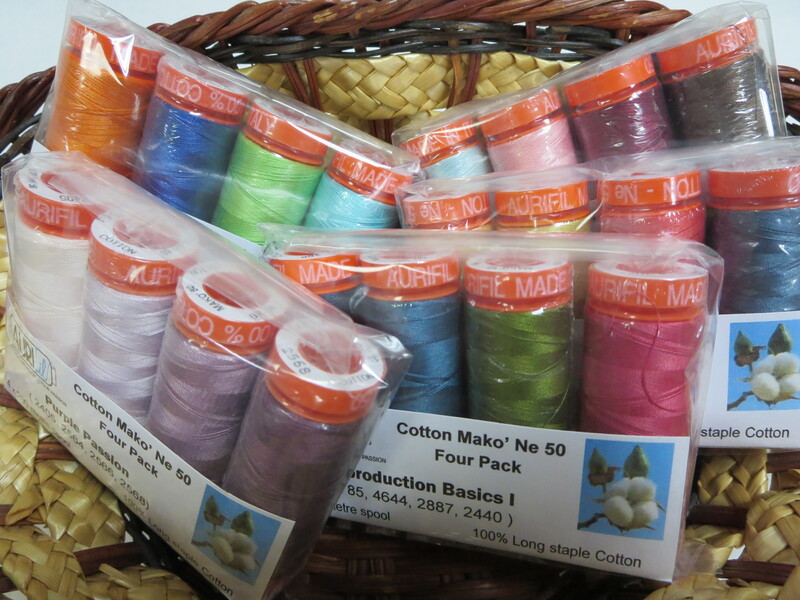 Patchwork Passion in Cranbourne has a good supply of Cotton Mako’ 28 for your blanket stitch applique & quilting. 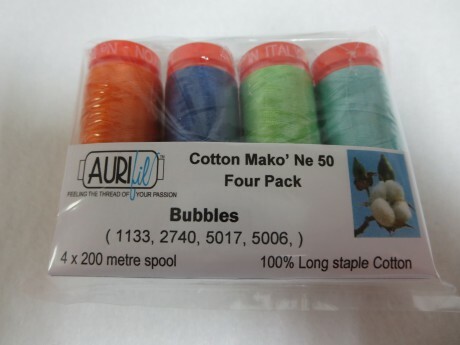 and Palm Beach Quilting in Carrum Downs stocks an extensive range of Cotton Mako’ 50 for piecing and needle turned applique. So it is time to get together with some friends and plan a road trip to visit these shops in the next few days. It is almost the end of 2014 and looking back all I can say is what a busy, adventurous, year it has been with lots of trade events and new directions taken for the business. 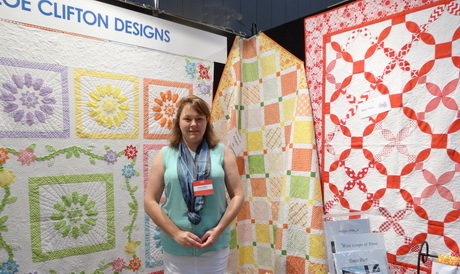 As always the final event for the year is the Australian wholesale Quilt Market, held in Melbourne in November. Not a huge event by world standards, but still very important for Australian shops, and a great opportunity for us to put faces to names & voices that we have met by email, & telephone, during the year. 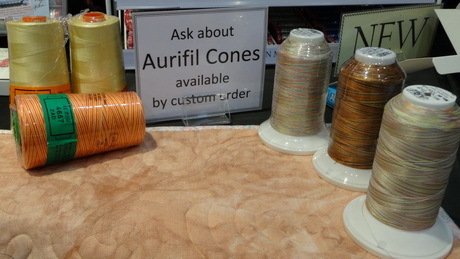 It is also the perfect place to catch up with many of the pattern designers who feature Aurifil threads in their work. 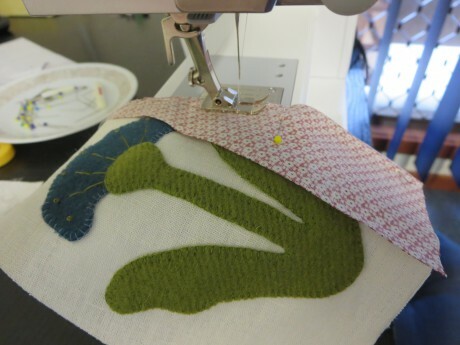 The Quilted Crow Girls have been using Cotton Mako’ 28 to applique their beautiful wool fabrics. 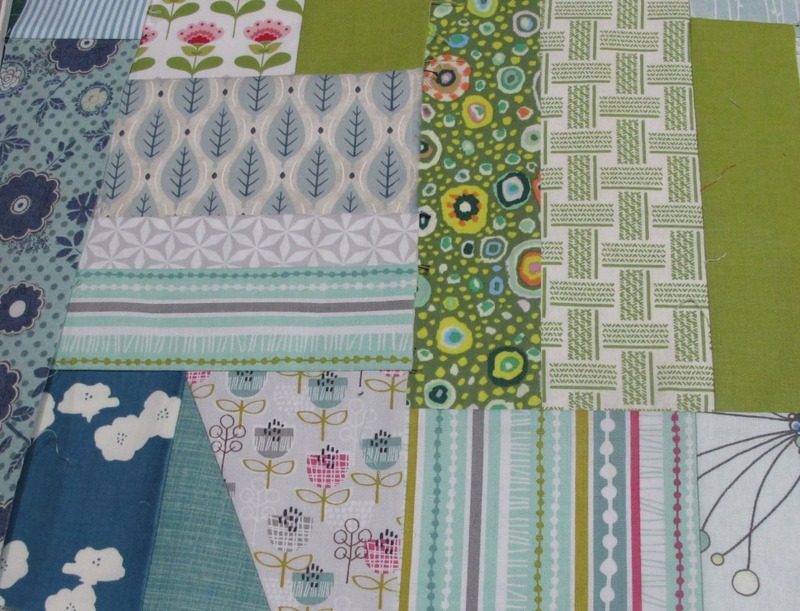 Zoe Clifton uses Cotton Mako’ 40 & 50 to piece, applique & quilt her designs. 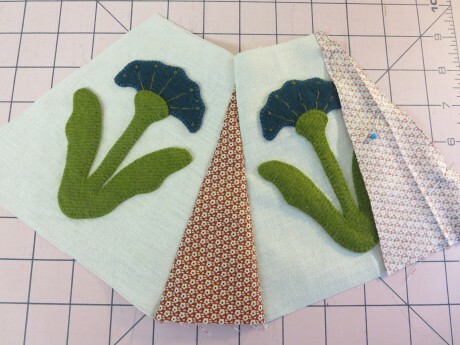 Leanne Knell of Petals & Patches has started to use the Cotton Mako’ 12 for her stitchery designs. 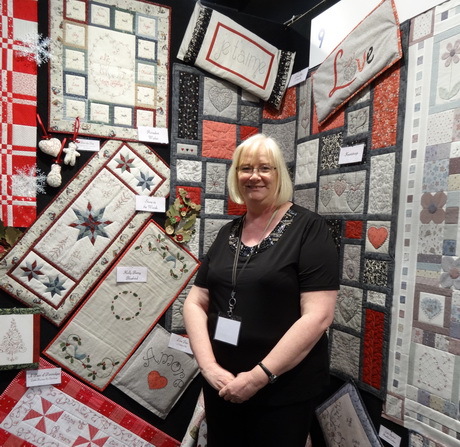 The Australian Quilt Market is always such a great opportunity to meet people, to see what is new and go home inspired for the next year. I wonder what we will do in 2015, after the 2013 market we decided to give our 2014 stand a modern twist with our Twenty First Century Round Robin. 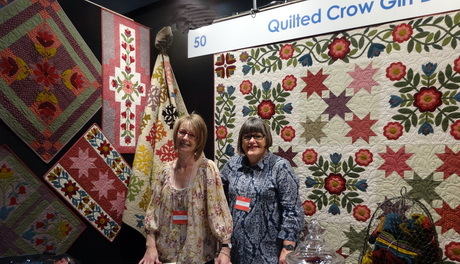 Watch for more information about our “Twenty first Century Round Robin” in the next post by KnitsnQuilts.